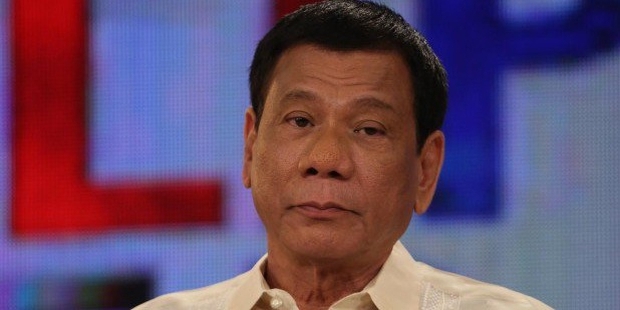 The Philippine President Rodrigo Duterte said that he will send a delegation of ministers, instead of a frigate, to Libya to deal with the crisis of the three Filipinos kidnapped, Spokesman of the Philippine Government said on Tuesday. After the confirmation made by the Philippines and South Koreans of ​​the kidnapping of four of their nationals in Libya last week, the Philippine President announced last Friday that he was considering sending a frigate to ensure their release. The Spokesman of the Philippine President, Harry Roque, clarified in a press conference at the Malacanang Palace that the Philippine President reversed his decision to send a frigate after consultation with his government and ministers. He added that instead of sending a frigate, Duterte had formed a task force headed by Foreign Affairs Secretary Alan Peter Cayetano, Labour Secretary Silvestre Bello, Presidential Adviser on Overseas Filipino Workers Abdullah Mamao, and Mindanao Development Authority chief Abul Khayr Dangcal Alonto. "What makes the situation worse, is that the abductors are not state agents of the Libyan state, but militias involved in an armed conflict also with the Libyan Government," Spokesman of the Philippine President said, stressing that it would be a wise course to work with the Libyan Government in order to find a way out of the crisis. Philippine sources confirmed that the idea of sending the frigate still exists, depending on the decision of the designated task force in the next stage, although Duterte is still inclined towards sending a warship, but he decided to consider the advice of his counsel team. Earlier, South Korea decided to redirect a ship from the Gulf of Aden to Libyan waters in a bid to recue its national. Later, the Philippine president decided to do the same saying “if the three Filipinos were harmed, I will send a frigate to trace the kidnappers and blow them up”. An unknown armed group abducted four foreigners near the Al-Shuwerif district of Libya and posted a video on social networking sites this week of the four kidnapped confirming their identities and nationalities and appealing to the Philippines and South Korean leaders for help.